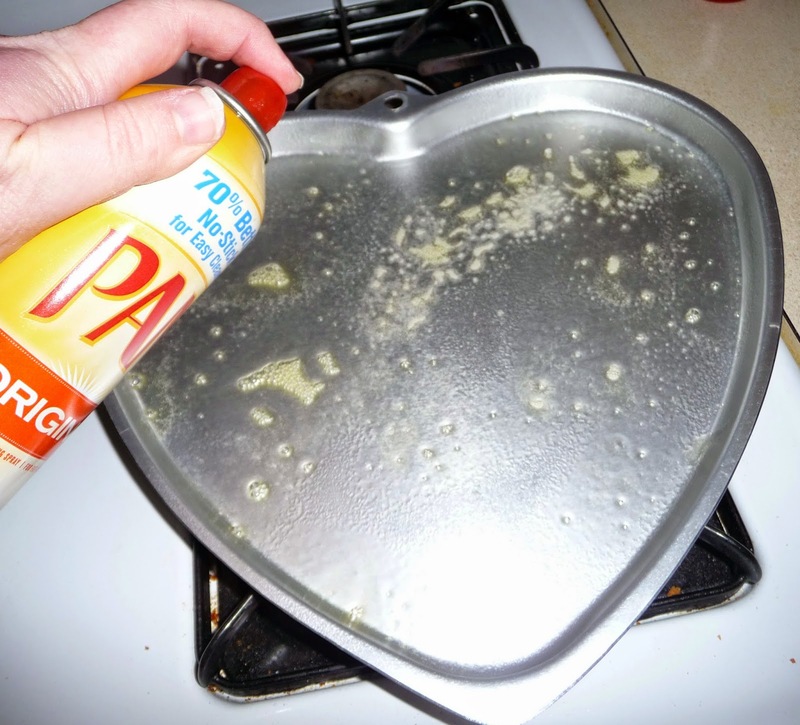 I found the heart shaped cooking sheet at Walmart and made it so easy. 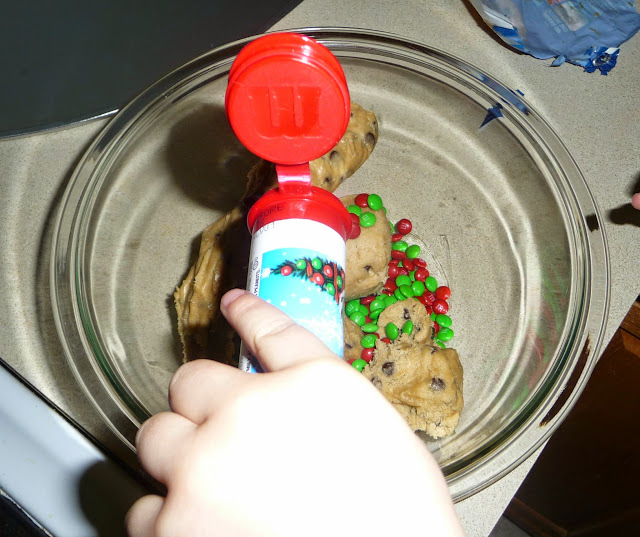 We wanted it to be supper chocolaty, that's why we decided to add mini m&m's. Since we were adding the m&m's to the chocolate chip cookie dough, I put the dough in a bowl and had Michael pour the m&m's. 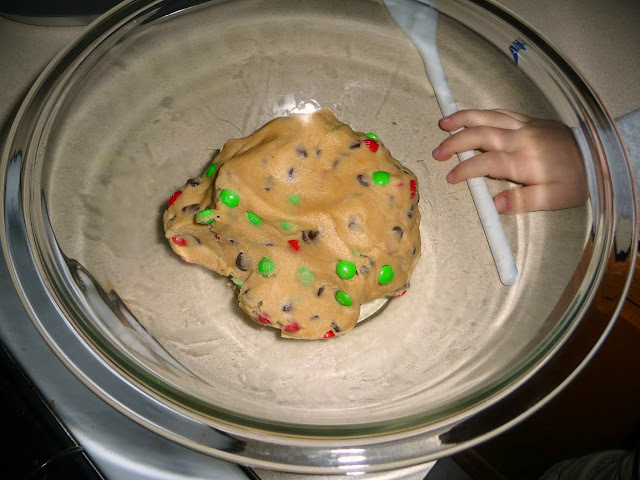 I mixed the m&m's into the dough so that they would be evenly distributed. Sprayed the sheet with some cooking spray so that the cookie dough won't stick to the sheet while it's baking. 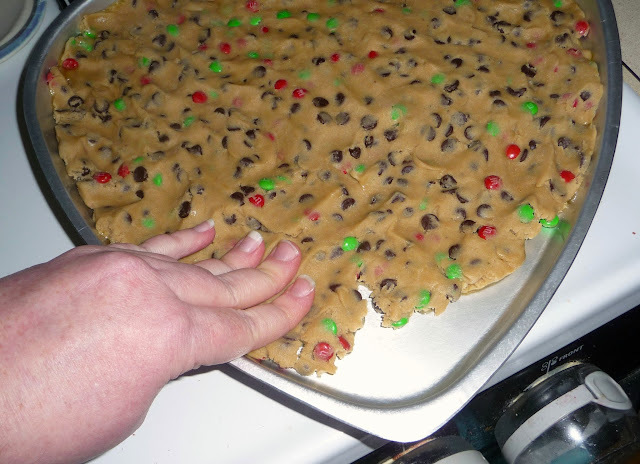 I then took the dough and evenly spread it out on the sheet. Ready to go into the oven. 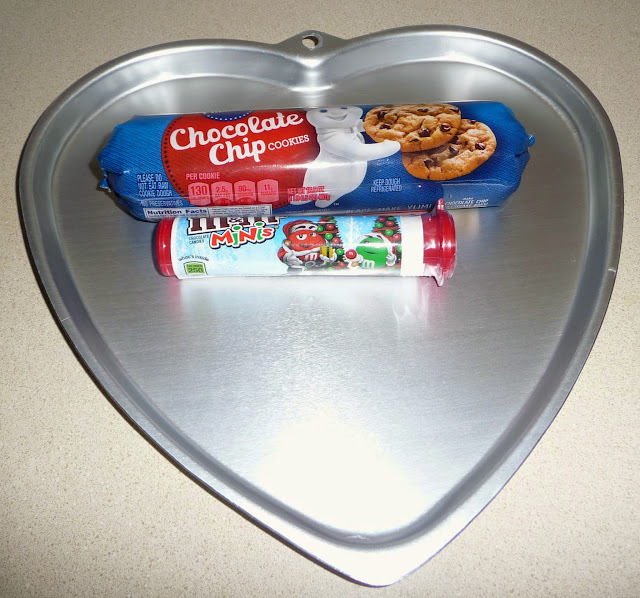 You'll preheat the oven to the temperature stated on the cookie dough container and bake for the recommended amount of time. Fresh out of the oven. I will also say that this was the last thing to be baked in our old oven. 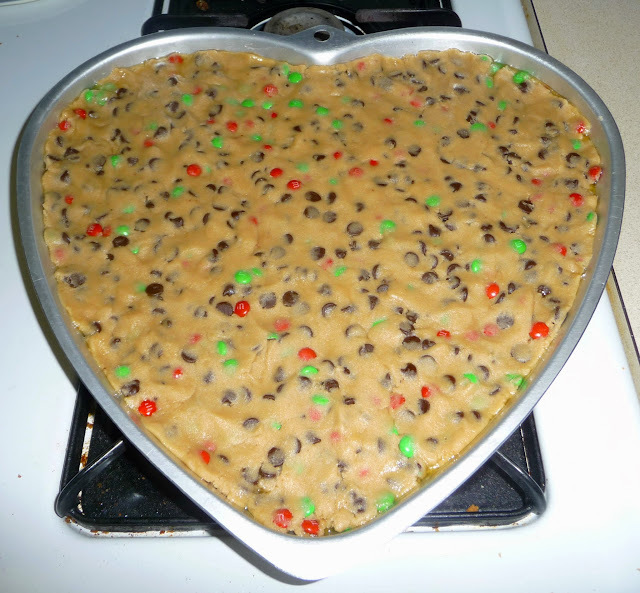 Looks delicious, I could go for a piece right now. 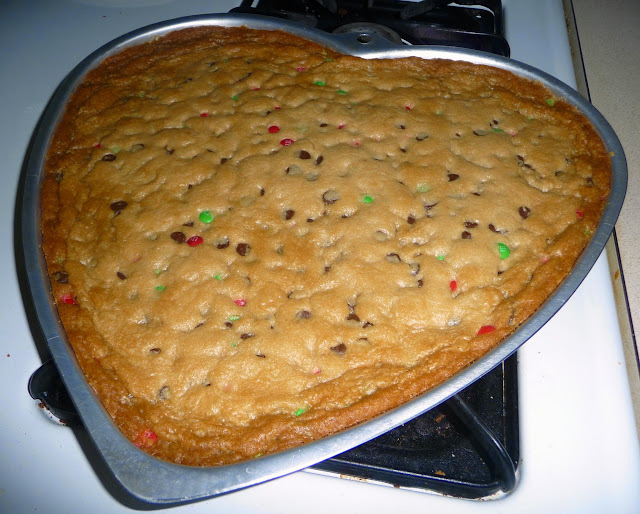 I let the cookie sit over night. I tried looking for pink icing, but being so close to Valentine's Day the grocery store was out. 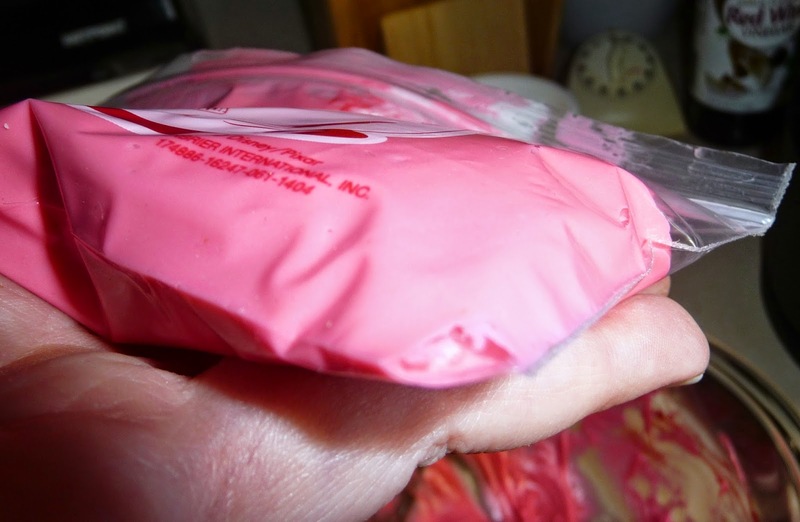 I decided to buy plain vanilla icing and make it pink. 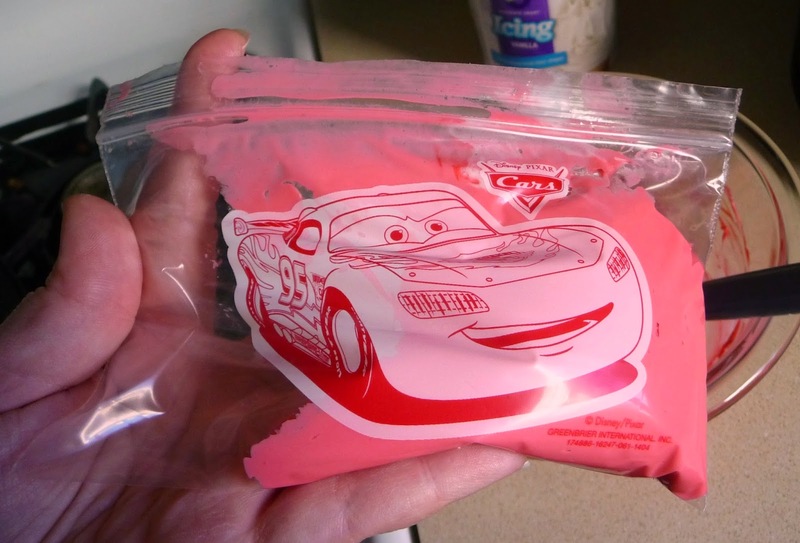 I already had the red food coloring at home. 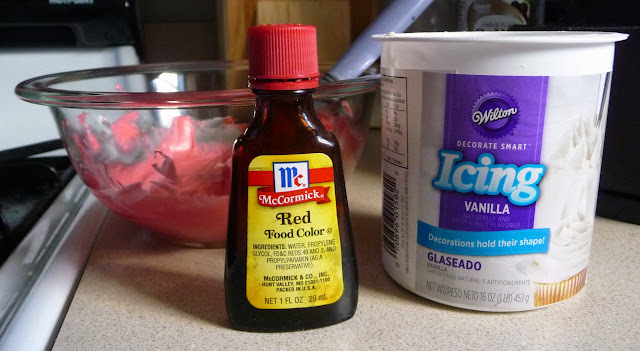 I put a little bit of the vanilla icing into a mixing bowl and put a few drops of red food coloring in. Mixed it evenly until I no longer saw any white icing. 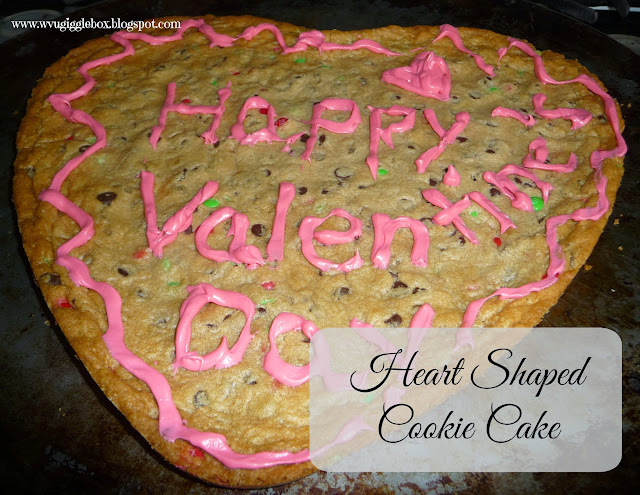 I wanted to write Happy Valentine's Day on the cookie, but didn't own a pipping bag. I ended up taking this snack size ziplock bag and put the icing in it. Sealed it up and then clipped one end off to make it my piping tip. I then squeezed what I needed out. I ended up not spacing things out properly. Oh, well. It was for my family and they don't care what it looks like. As long as it tastes good, that all that matters. We had it gone in the matter of a few days.